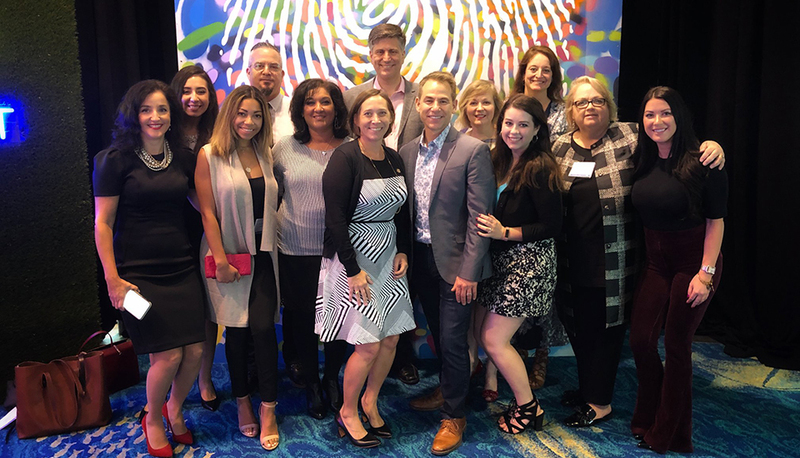 On October 4, 2018, Starmark celebrated another record-setting year with the Greater Fort Lauderdale Convention & Visitors Bureau (GFLCVB) at the destination’s annual industry luncheon. Starmark and Finn Partners assisted GFLCVB’s President & CEO Stacy Ritter in unveiling the destination’s 2019 Marketing Plan at the Broward County Convention Center. Tourism industry professionals, local government officials and Broward County council members were among the 600 guests in attendance. Stamark contributed to the event’s planning process and assisted with the entire set design, concepting the theme of the marketing luncheon: “Through A New Lens.” Guests were treated to a “House of GFL” stage complete with twinkling lights and a musical performance by Fort Lauderdale’s own indie artist Alex Di Leo. 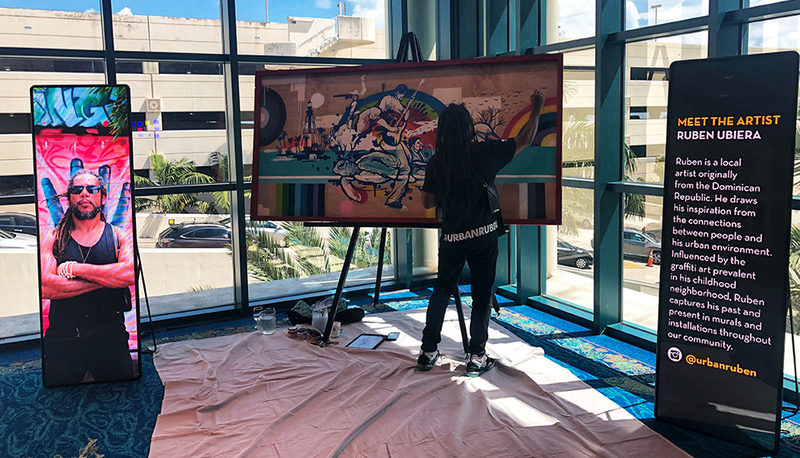 The diversity of the destination was brought to life in a live art activation, which will soon find its home as a public art installation in Broward County. The Starmark team also created a series of nine videos that aired throughout the presentation, explaining how each GFLCVB department will be evolving in the upcoming year. 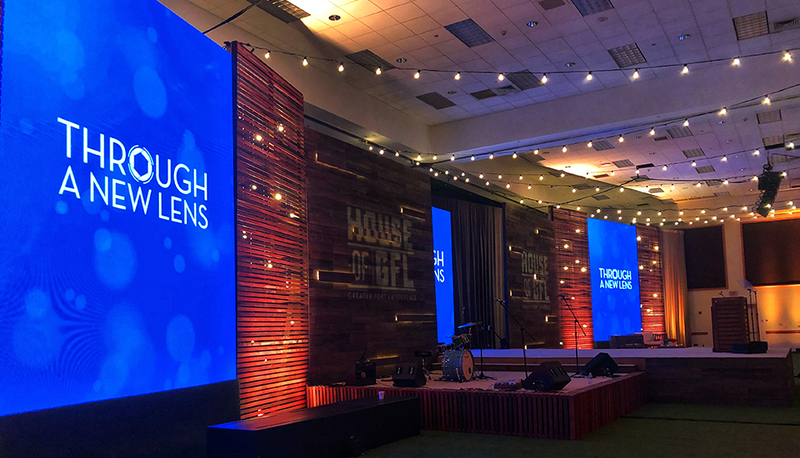 In the Marketing department video, attendees learned how Greater Fort Lauderdale is reshaping the way it connects with its global audiences. Through big data, audience segments and well-defined personas, GFLCVB and Starmark are working together to change perceptions about the destination. Starmark partnered with GFLCVB for a national and international research study. The findings will help influence a generation of travelers through an authentic lens of discovery. The video also discussed how Starmark transformed the 2019 Vacation and Meeting Planners Guide into a more dynamic planning tool with magazine-style editorials and a refreshing new design catered to personas. 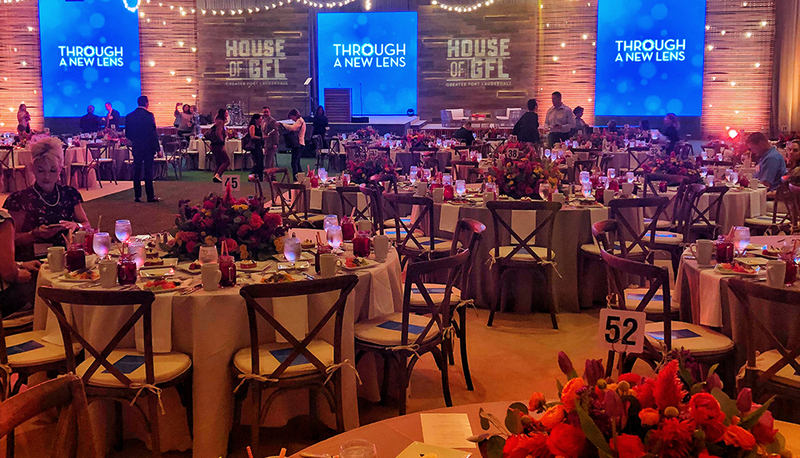 More announcements included a “House of GFL” traveling installation, a market-specific consumer E-Newsletter and a rebranded advertising campaign. Starmark looks forward to creating even more compelling work for the GFLCVB in 2019 and continuing to grow tourism in Greater Fort Lauderdale.